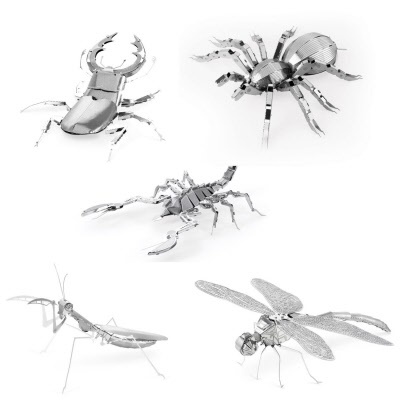 Get all 5 of the Metal Earth bug set by Fascinations. Needle nose pliers are helpful for assembly. Package size measures approximately 6.75" x 4.75" per kit.